Jamie Bodaly and Doug Mathhieson’s Langley Blaze won the 20th annual Best of the West tourney in Kemloops for the seventh time. Down the road the game is not about wins and loses. No, it’s more about memories. 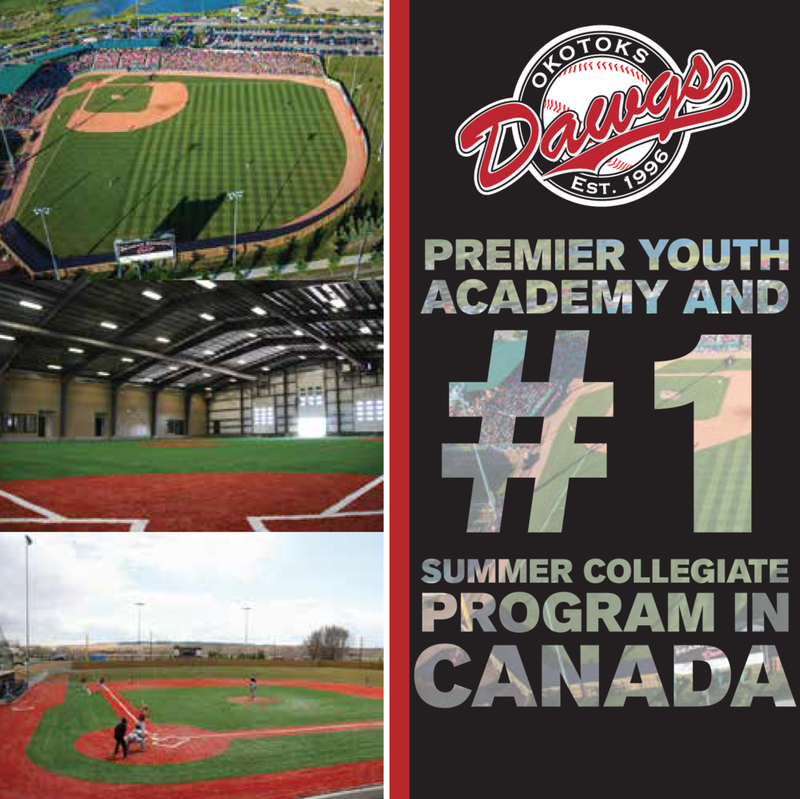 In a memory-maker classic the Langley Blaze and Okotoks Dawgs were even as identical twins for 10 innings. Then the Blaze scored in the 11th to win 5-4 in the 20th annual Best of the West tourney at Norbrock Stadium in Kamloops, BC. For Jamie Bodaly and Doug Matheson’s Blaze, it was the seventh time they’d won the title -- and they didn’t compete until 2007. The finale saw the Blaze benefit from diving catches from Nick Holdershaw (Langley, BC) and Daniel Martin (Langley, BC) to save runs, a back door pick from SS Ryan Beitel (Cloverdale, BC) at third, as 3B Connor Dykstra (Chilliwack, BC) tagged runner from second trying to advance in extras with one out and Tommy Kreitz (Prince George, BC) was quick as a cat pouncing on a couple bunt for base hit attempts. The Blaze went down early 4-0 after 2nd inning, Martin led off the fourth inning with a stand up double and eventually scored to get us on the board. The Blaze scored three in the sixth to tie the game, it all started with a two-out walk to Dykstra followed up by Holden Cumiskey (Surrey, BC) triple, followed by Justin Thorsteinson (Langley, BC) and Beitel singled to tie matters. Langley had a chance to end things in the eighth with runners at second and third with out out and Holdershaw at bat but they failed to score. Ryan Beitel led off the bottom of the 11th, reached second and celebrated. 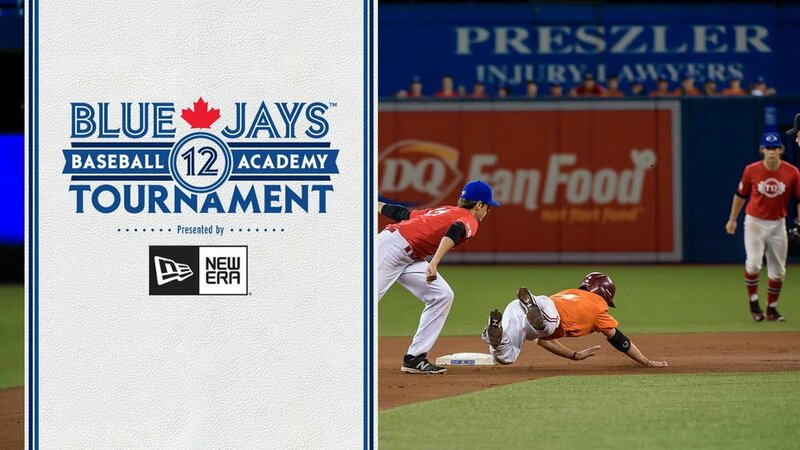 However, in the 11th, Beitel started with a double, followed by an infield single by Sean Sasaki (Delta, BC) and a Kreitz bunt set the stage once again for Holdershaw who crushed an 0-1 curve ball to deep centre over the outfielder’s head for the walk off win. The Blaze used four pitchers but the star was grade 10 student Haiden Letzing (Surrey, BC), who threw eight scoreless. He allowed two hits and struck out eight for the win. 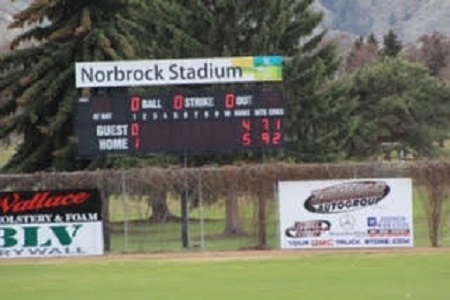 The scoreboard at Norbrock Stadium tells the story, a 5-4 win in 11 innings. Matt Wilkinson (White Rock, BC) started for the Dawgs allowing one run on two walks and three hits in his four innings. He struck out six. Branden Woods (Red Deer, Alta.) worked 1 2/3 innings allowing three unearned runs on one walk and a hit. Dryden Howse (Okotoks, Alta.) had a scoreless outing pitching 2 1/3, fanning two. Ricardo Sanchez finished up pitching 2 1/3 innings allowing three hits and a walk, while striking out four. Former Tournament 12 MVP Micah McDowell (Coldbrooks, NS) drove in a pair of runs, while Cesar Valero (Calgary, Alta.) singled in a run and Howse doubled in a run. Ayden Makarus (Airdrie, Alta.) was 2-for-5, while Sanchez doubled. Langley opened with a 9-6 win against the Edmonton Prospects, thanks to excellent work by starter Ryan Scott (Quispamsis, NB) and reliever Dawson Hurford (Victoria, BC). Holdershaw was 3-for-3 scoring three times. Martin hit a two-run triple in sixth. In a non pool game, the Blaze lost 11-4 to the Vauxhall Jets. All the defence the finnal had ... this one lacked as Langley committed seven infield errors. A back and fourth game started by Lukas Frers (Surrey, BC) who gave way to Sean Sasaki who picked up the win in a 10-6 win against the Coquitlam Reds. The offence was driven by Thorsteinson who hit two doubles off the centre field wall. Thorsteinson was dominant and the Blaze infielders were flawless in a 9-2, semi final win against Vauxhall. Thorsteinson pitched a complete game gem throwing all three pitches for strikes. He allowed one earned run on four hits and struck out eight in his 71-pitch outing. Kreitz was 2-for-2 with three RBIs, while Martin tripled to drive in two. The Langley Blaze also won the bantam division of the Best of the West.